For what might be another first in the ongoing tussle between the Centre and the Supreme Court collegium, the former has unilaterally altered a recommendation to extend an Additional Judge's term instead of making him permanent as first reported by The Print. Vide a notification issued on 19 April, the Centre extended Justice Ramendra Jain's term as an Additional Judge of Punjab and Haryana High Court for a period of six months. The three Judges collegium comprising Chief Justice Dipak Misra, Justice J. Chelameswar and Justice Ranjan Gogoi had first recommended appointment of Justice Jain as a permanent Judge in March this year. The Centre, however, sat on the recommendation, despite the Collegium's request to process it expeditiously as Justice Jain's term was set to expire on 19 April. Thereafter, two days before his term was to end, the collegium reiterated its recommendation for his appointment. In its resolution, the Collegium noted that the issue of his transfer had already been dealt with on 12 July 2017, recording "specific reasons for retaining him in the Punjab and Haryana High Court". Despite this recommendation, the Centre chose to only extend Justice Jain's term, in violation of the settled law which mandates that the Centre must accept the Collegium's recommendation if it is reiterated a second time. Several Supreme Court Judges have been vocal about the Centre's interference with Judicial appointments ever since the Narendra Modi Government came into power. 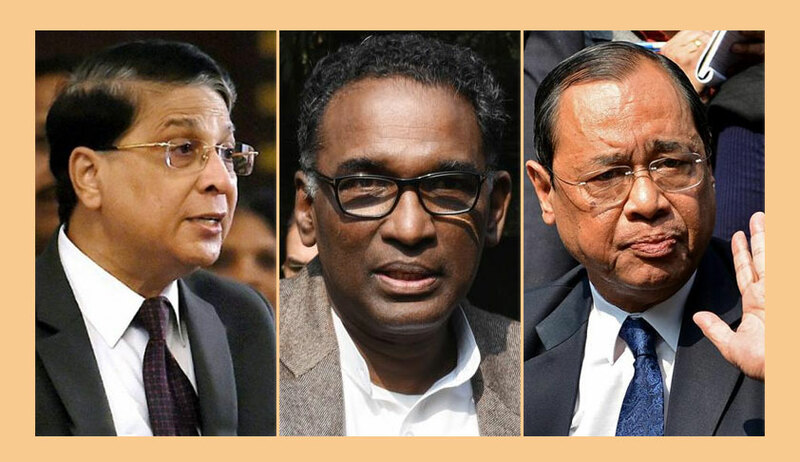 Justice Chelameswar had, in fact, penned a letter to the CJI, calling for a full court to discuss the matter of government interference in appointment of Judges to High Courts. The incident related to the inquiry initiated against Judge P. Krishna Bhat, who had been recommended for elevation by the Supreme Court collegium. While stalling his elevation, the Centre had communicated the need for an inquiry to the Chief Justice of the High Court directly. Condemning the Centre for its actions, Justice Chelameswar had now pointed out that if the Centre had any reservations about Judge Bhat's candidature for elevation, it could have sent back the recommendation for the Collegium's reconsideration, instead of writing to the High Court. He had then asserted that "bonhomie" between the Judiciary and the Government "sounds the death knell to Democracy", and had written, "We only have to look forward to the time, which may not be far-off if not already here, when the executive directly communicates with the High Courts about the pending cases and what orders to be passed. We can be happy that much of our burden is taken away. And an Honorable Chief Justice like Dinesh Maheswari may perhaps be ever willing to do the executive bidding, because good relations with the other Branches is a proclaimed constitutional objective." Emphasizing on the Government and the Judiciary being "mutual watchdogs" rather than "mutual admirers", he had then called for a full court on the judicial side to discuss the issue. Echoing these concerns, Justice Kurian Joseph had also stepped forth censuring the Government for sitting on the collegium’s recommendation to elevate Senior Advocate Indu Malhotra and Chief Justice of Uttarakhand High Court, Justice K.M. Joseph. In a letter addressed to Chief Justice of India Dipak Misra, Justice Joseph had highlighted the fact that never before has the Apex Court not been made aware of the developments on a recommendation even after three months have elapsed. It had then called the Government's actions an "abuse of power" and a threat to the independence of the judiciary, asserting that this would send a "wrong message" to Judges that they would "suffer" if they don't tow the Centre's line. Justice Joseph had thereafter urged CJI Misra to establish a bench of seven senior-most Judges to take up the issue suo motu on the judicial side, relying on the stance adopted by the Court in Justice C.S. Karnan's case.